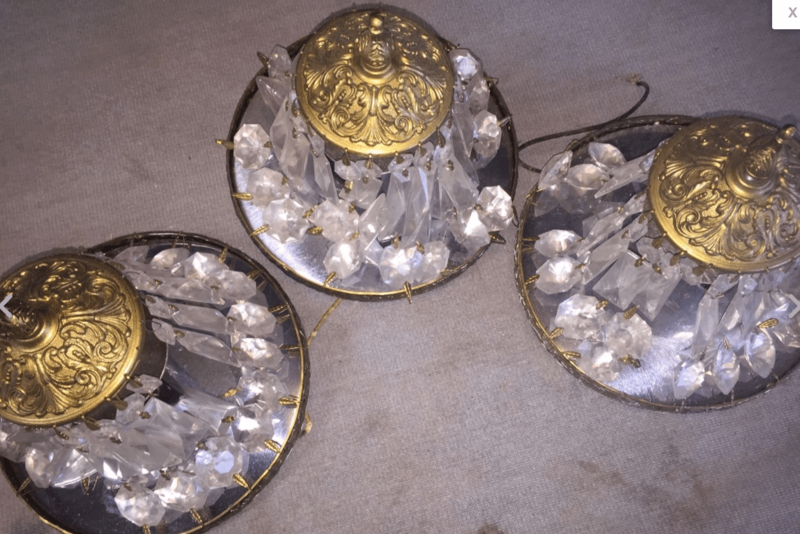 Online, I found three 1960s Hollywood-Regency crystal dome ceiling fixtures. The set looked sooooooooo pitiful. 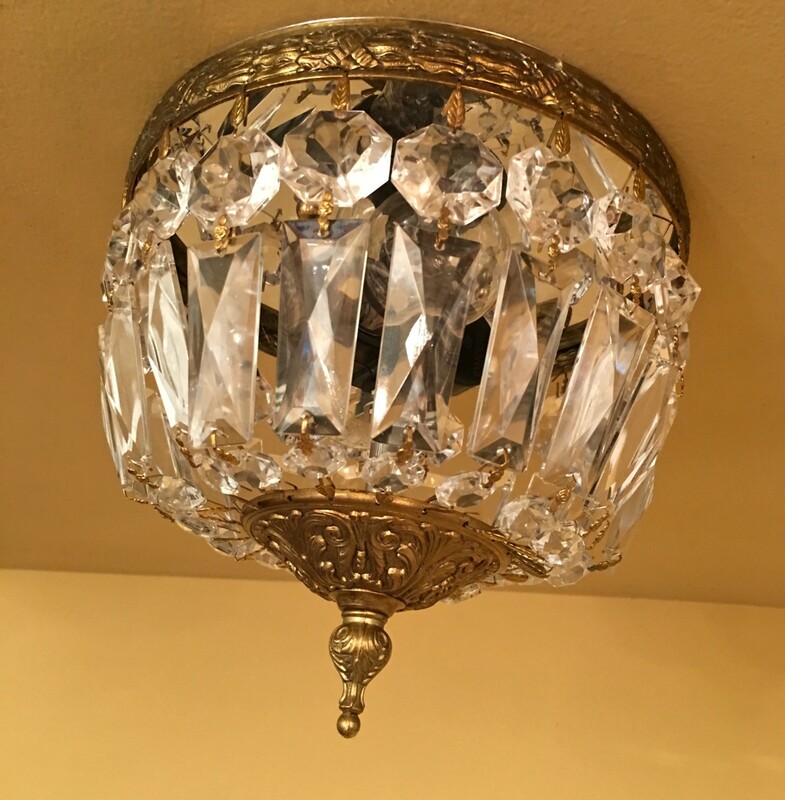 The fixtures were dirty and SO obviously unloved that…I had no choice…but to buy them. No choice! This was kinda crazy, because were the three fixtures even complete? Did they retain all their crystals? Were the crystals undamaged? But…the fixtures were dirty and SO obviously unloved that…I had no choice but to buy them. No choice! My hope, hope, was that at the very least I would end up with two complete fixtures out of three. And this, this was my hope…as I clicked on Buy It Now. And two out of three was my reward for having faith. I have seen the tacky reproductions in home depot, and took one all apart that was in our den..awful things. But seeing yours and what the real thing looks like I’m in awe. No comparison at all. They are lovely and you did a good thing! No choice. I have to remember that line!